Interior of the effluent reuse station for the Joliet East Wastewater Treatment Plant. Over the last few years Metropolitan has provided new effluent reuse stations to wastewater treatment plants who are looking to save money while also conserving water. The new effluent reuse system recently delivered to the Joliet-East wastewater treatment plant will replace the older system with four submersible pumps in above grade station. 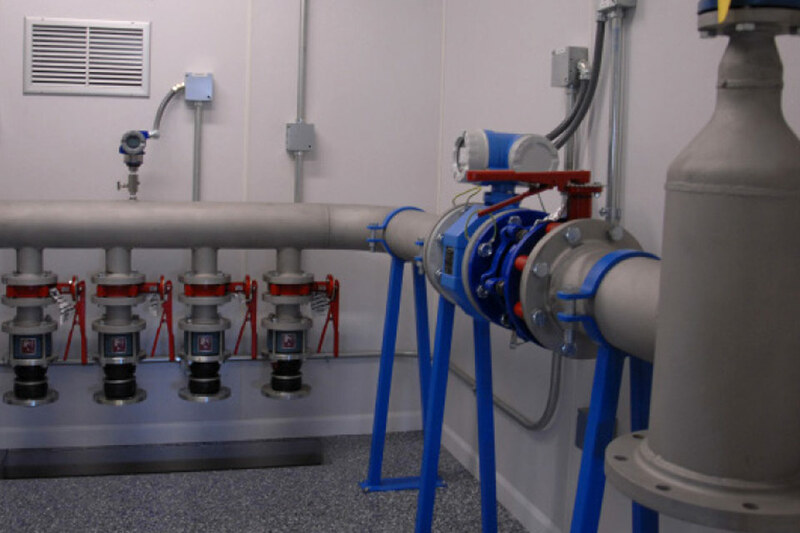 The prefabricated housed system is above ground and houses the piping, valves and controls. The new pumps are variable speed, allowing less wear and tear on the motors. The station is also designed to sample water after the UV disinfection structure has tested it. 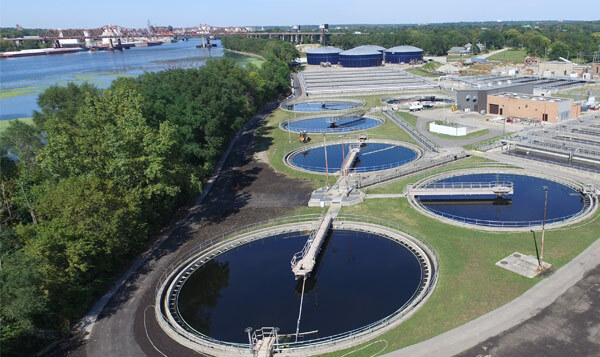 The City of Joliet owns and operates a publicly owned treatment works consisting of separate sanitary sewers, combined stormwater and sanitary sewers, a 36-inch river crossing and three wastewater treatment plants. The East Side WWTP serves a 14-square-mile service area on both sides of the Des Plaines River. The prefabricated housed system will sit along the access area of the Des Plaines River, making the station the last stop before the non-potable water either flows back into the river or gets recycled back through the plant for non-potable use. During dry weather, the east side sewer system conveys all flows to the East Side WWTP. During wet weather, stormwater enters the combined sewers through storm inlets, building roof drains and other infiltration and inflow sources, at times causing the sewers’ conveyance to exceed capacity. At these times, the combined sewer system is designed to overflow at permitted relief points called combined sewer overflows. The City of Joliet provides sewer service to areas largely within the City of Joliet and to a few areas outside the city limits. The sewer system serves an estimated population of about 106,000 persons and an area of approximately 38 square miles. A special census conducted in 2006 showed a population of approximately 142,700 persons, suggesting significant population growth during the past several years. In some of the areas, the system is designed to convey both sanitary wastewater flow and runoff waters collected by curb inlets, roof and area drains, foundation drains and sump pumps, and other similar sources. After a percentage of water from the wastewater treatment plant is stored for non-potable reuse purposes, the remaining treated effluent flows back into the Des Plaines River. 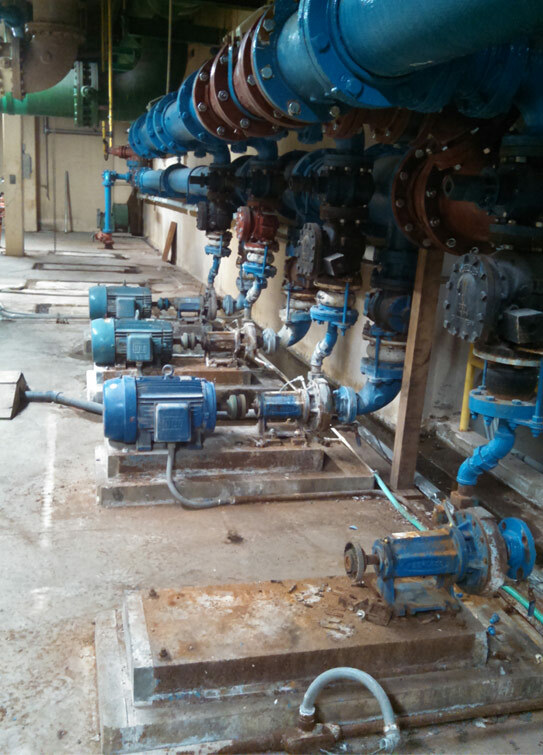 The existing NPW system at Joliet East Wastewater Treatment Plant will be replaced with the new prefab building and submersible turbine pump system. In those areas, the sewer system is classified as a Combined Sewer System. In many areas of the City, stormwater and sanitary wastewater sewer systems have been separated, creating a separate Sanitary Sewer System in some basins. However, the combined and sanitary systems are joined at the major system interceptors, and much of the wastewater flow during wet weather is stormwater from the combined system. Even separate sanitary sewers can experience leakage of groundwater through joints and manholes during wet weather. During dry weather, the Joliet sewer system currently conveys all flows to one of three wastewater treatment plants owned by the City. During wet weather events, the hydraulic capacity of the sewer system tributary to the East Side WWTP is exceeded. At such times, overflows of untreated combined storm/sanitary wastewater occur at various locations in the sewer system upstream of the WWTP. These overflows are termed combined sewer overflows. Because of concerns for potential adverse public health and environmental impacts from CSOs, the EPA and the Illinois EPA have adopted regulations. In addition, the management of water cleanliness is governed by the Environmental Protection Agency through the National Discharge Elimination System permit process. Property owners are encouraged to participate in environmentally conscience storm water management through the use of rain barrels, rain gardens and the proper disposal of pet waste, oil and other contaminants. Contaminants must never be dumped into a storm sewer drain as these contaminants directly affect the water quality of our streams and rivers. During rainfall events, water drains off of roadways and adjacent properties. Water from residential sump pump discharge lines is then pumped to the ground surface and must also be collected. This rain water is collected in roadway storm drains, rear yard storm drains and drainage ditches to be discharged into one of the many local streams and rivers in the city. In many subdivisions, this water flows through a detention system which controls the rate of the release of this water to prevent flooding.